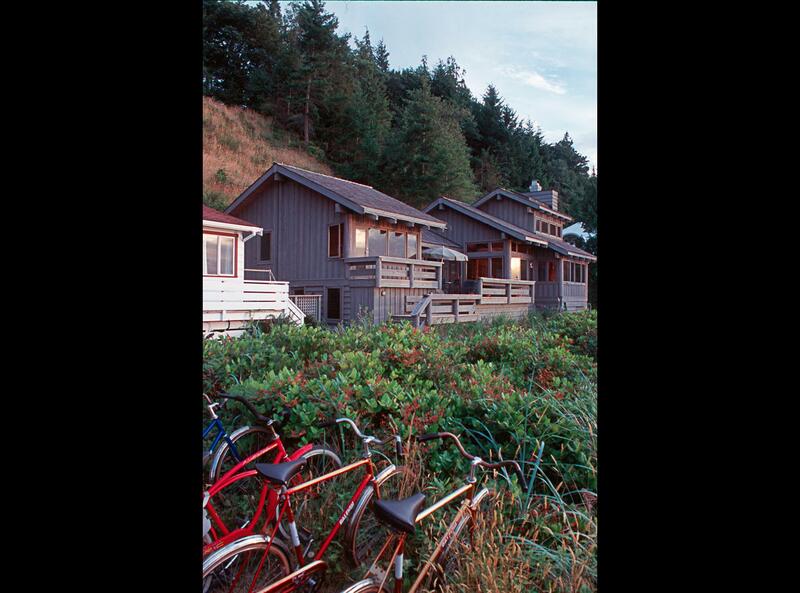 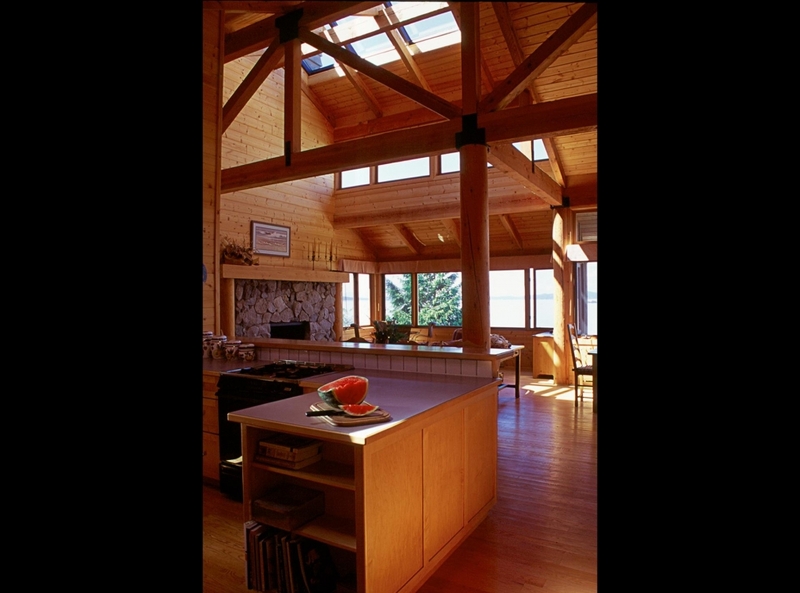 Savary Island Fisherman’s House - Still Point Architecture Inc. 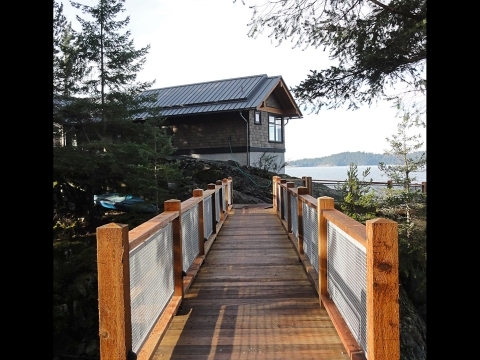 This home, built in 1992, is conceived in the manner of the coastal fishing lodges of British Columbia to honour the owner’s favourite pastime. 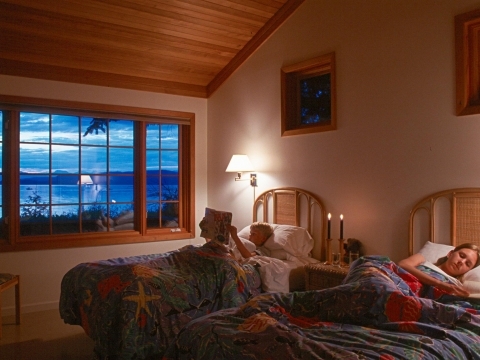 Featuring a master bedroom suite and guest bedroom, the open vaulted ceilings suggest a much larger home. 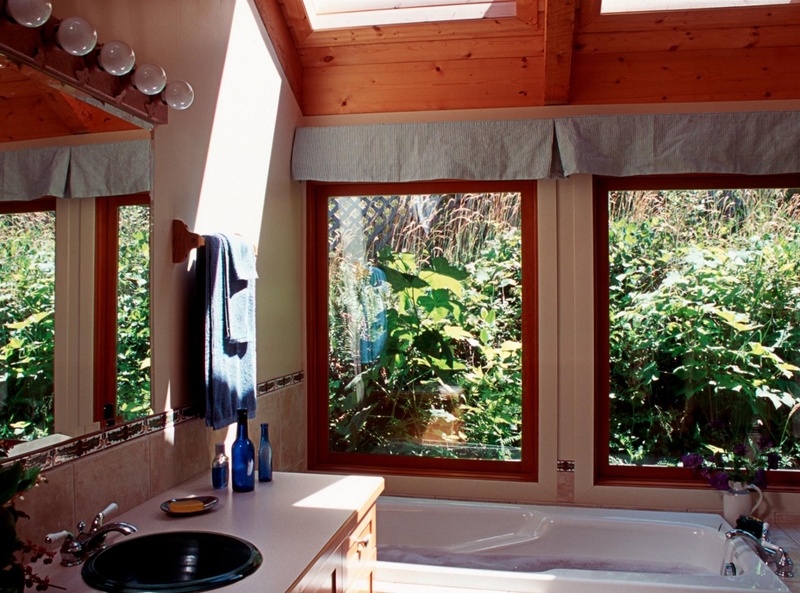 Light plays down over the timer-work of the common areas from clerestory windows and a central ridge skylight. 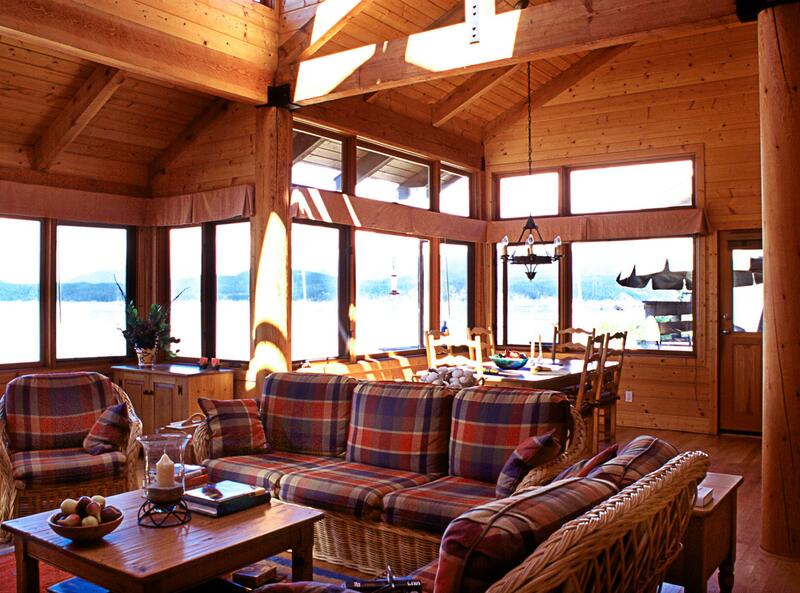 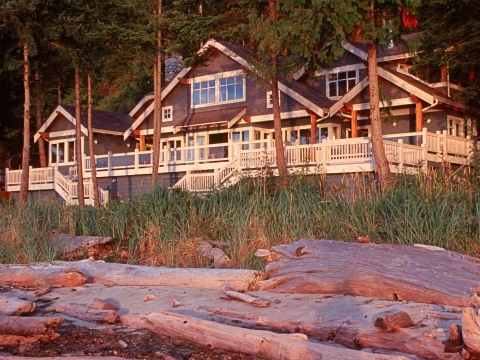 The generous band of windows on the water side provide panoramic views of the sand beaches and distant Desolation Sound.